Here is yet another one of my posts for this mega marathon postings I am doing today. This one is very dear to my heart since this is the special one I did for my Granddaughter. It seems rather fitting these days..... she is always taking her Mommy's phone for one reason or other. I was rather upset and disappointed with the different glue I used to put this card together. I should have stopped what I was doing and took time to go buy my favorite Tombo glue I normally use. 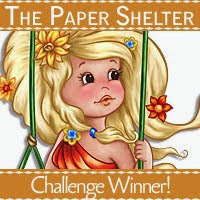 But I pressed on and did the best I could do with what I had at the time of working on the card. I guess I am chalking this up to live and learn...... do not use a new glue on projects until its been tested out on scraps before projects. Yikes what a space out moment! 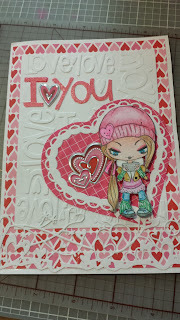 The I Love You embossing folder was used in the background. I thought it would go well with the stamp choice and could be what was being texted on her phone. The stamp is named Evie which is from the Super Secret Stamp Club Collection of The Greeting Farm Company. I am so in love with TGF stamps! Awesome selections of stamps! 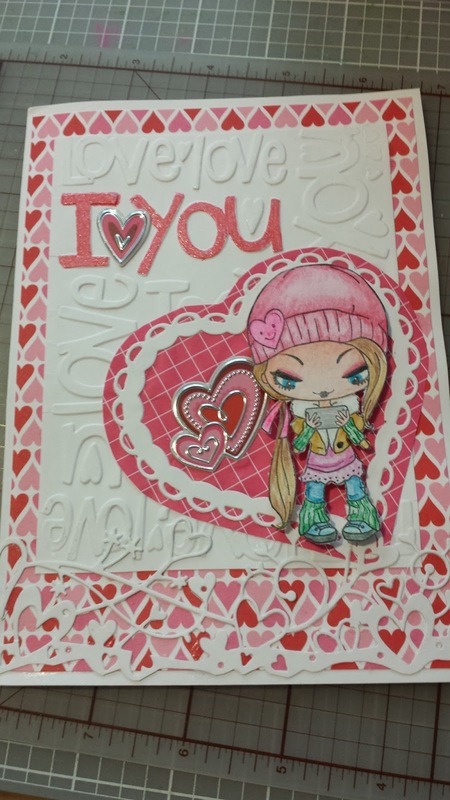 The Embossing portion used as the sentiment was colored in with a glitter gel pen and then a colored heart from the St Valentine's Recollection collection from Michael's Store as the heart portion of the sentiment. I added a die cut from Memory Box Company to the bottom of the card just to break up the design paper a bit and make it appear a bit softer and blend back into the background. The heart layers used behind Evie are from the die cut set from Nellie.